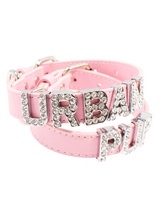 You and your pet pooch can now step out in style with our full range of on-trend collar and lead sets here at Urban Pup. 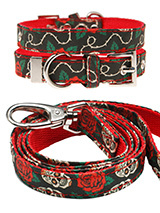 From edgy skull & roses sets to our classically classy tartan prints, we have sets to all suit tastes, which will ensure your dog stands out from the pack. 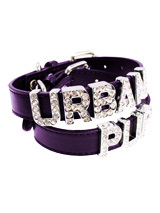 If you're looking for something on more of the glam side, we have a colourful collection of collar and lead sets that can be personalised with diamante letters. 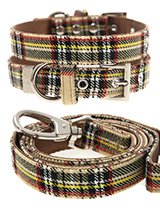 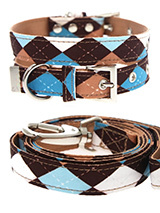 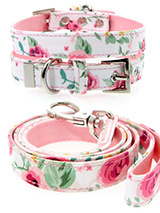 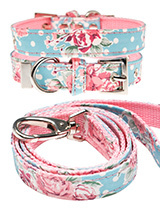 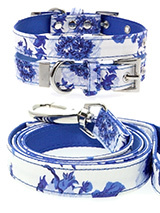 Our full range of high fashion collar and lead sets isn't just extensive but varied as they come in an array of patterns, prints and colours. 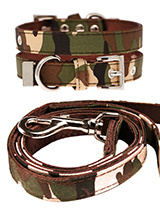 All of our collar and lead sets are light weight and comfortable yet incredibly durable. 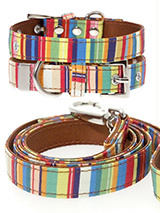 At Urban Pup all of our collar and lead sets have a chrome finish and either come in a strong, soft leather or fabric. 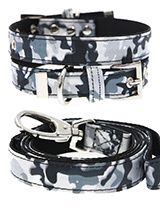 Each and every one of our leads has a secure silver clip to ensure your dog's collar is safely attached when you and your pet pooch are out for walks. 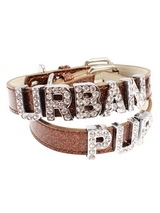 We have both classic and contemporary styles of accessories and clothing here at Urban Pup. 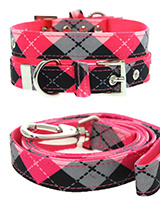 No matter you and your pet pooches needs or wants we are confident that we have them. 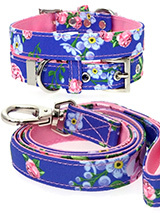 As pet lovers ourselves, all of our products are only made to the highest of standards, to ensure that your pet is safe as well as stylish.